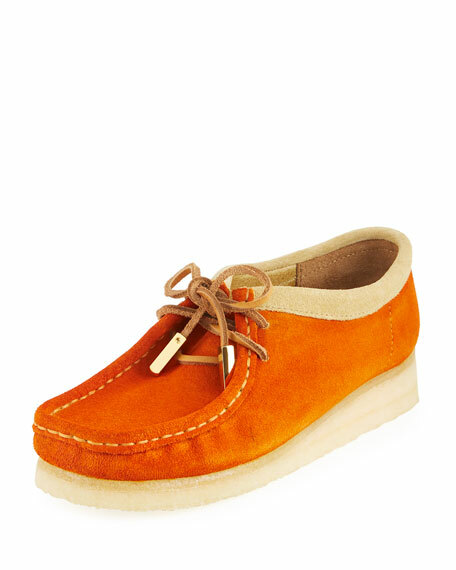 Sycamore Style women's Garden Orange hand-dyed suede syc Wally. 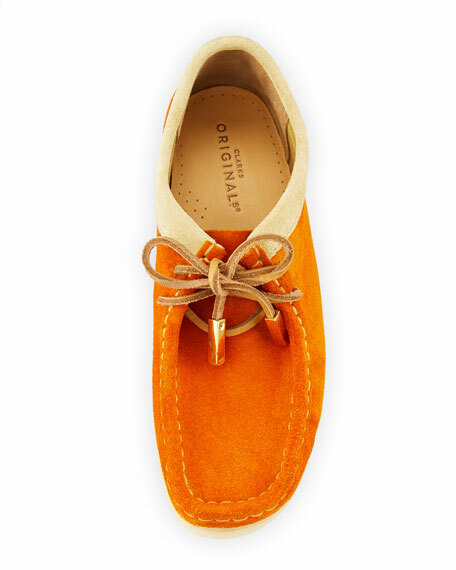 Solid color suede upper in Garden Orange. 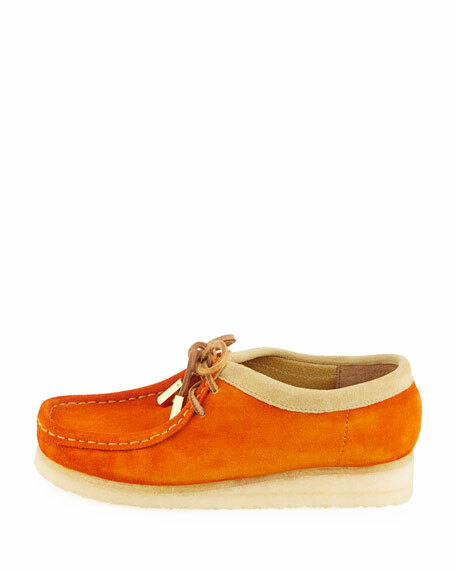 1.3" rubber crepe wedge heel. For in-store inquiries, use sku #2560066.